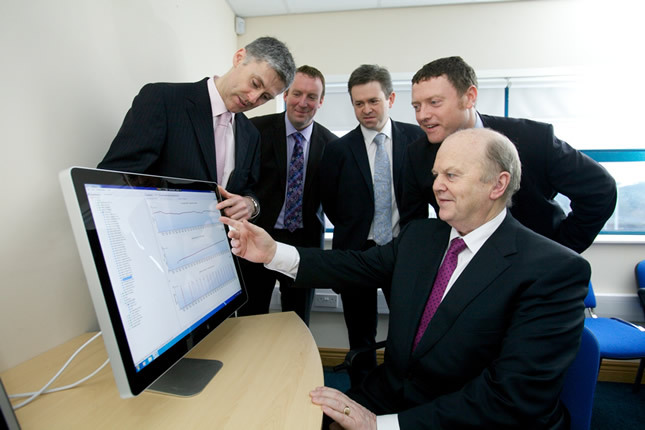 Limerick, Ireland – Nov. 21, 2011 – Irish Minister for Finance Michael Noonan has officially launched a new energy initiative, aimed at helping large and small industries reduce their energy bills and make them more energy efficient. Energy Point has been established by Procad Engineering in Limerick. A full range of energy management services to industry will be provided. Energy Point will carry out energy audits and identify energy-saving opportunities. The company employs 18 people in Limerick and they hope to create up to 10 high-end jobs over the next 18 months. Along with Procad Enginerring, the initiative will use the expertise and technologies developed by two other local Limerick firms, EpiSensor and ResourceKraft. Also on the employment front, Minister Noonan was also present for the official launch of the Univeristy of Limerick Innovation Centre, which aims to support high potential companies to deliver jobs in the region. The centre will be housed in the Tierney Building to provide a link between UL’s industry-informed research and business innovation in the knowledge intensive industries. It aims to support the establishment of 35 new start-up companies between now and 2016 and generate 115 jobs.